Trials Bug - Page 6 - DAMN Riders - No rules, Just ride! If you look real close at the ignition cover the manufacturer is stamped, it actually says "Harbor Freight". I am glad to see they have copied\stolen yet another product. You are in rare form SJ! Haven't gotten any in a while, eh? You are spot on about China stealing everything. 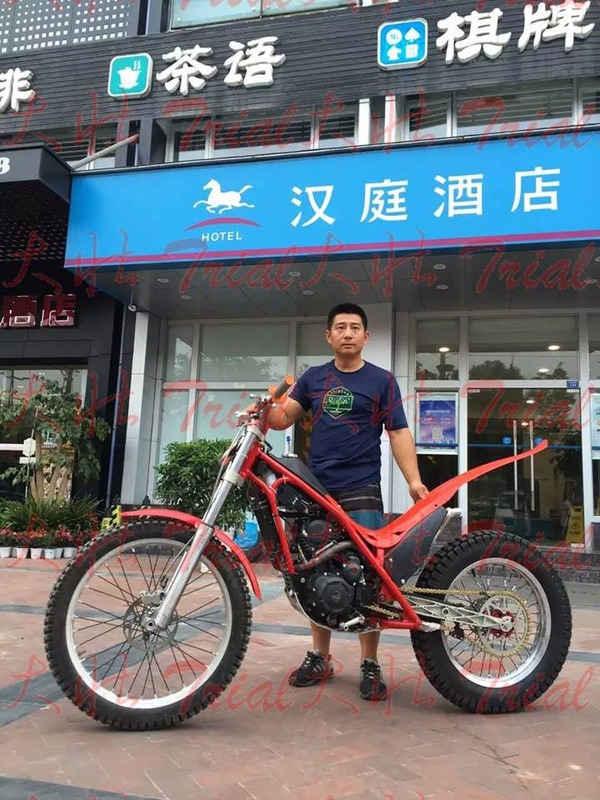 Here's the latest "Second China-Bound Apple Car Worker Charged With Data Theft"
Rear brake master on Sherco...just remove half the bike to acesss. At least I didn't have to take the seat off. Exhaust.. 2 bolts up front and couple on the side and just drop the entire thing then tons of room but yes could not agree more on being a stupid place to have it. So how hard is the air filter to service? LOL. Huh, I didn't know Sherco used KTM engineers. I haven't found the air filter yet on my EM but the rear master is very easy to get at. So true. But trust me Beta used the same china glass plastic manufacture to make trials plastic as the enduro plastic. You can tie a knot out of that Sherco rear fender and not fail....probably a good thing for Bruce. Did you find a generator that fits in a backpack yet or going to cover your body in solar panels? am thinking of pulling a trailer with spare D cells. I couldn't get exhaust off. It was hanging up. I had to add a fuel filter anyway. I also adjusted the push rod on the rear. Hope to get some play in it. I'll try it later today. Hey Ken I got a long extension cord.